What does St. John’s do in and for the community? We started the Personal Essentials Pantry which has since merged with S.W.E.P.S.in the old Reynolds Hardware building, 331 12th. Ave. South. Please go there for your personal essentials needs such as soap, shampoo, laundry detergent, paper products, etc. Kyle Ruud was the Program Coordinator and she is still involved and is St. John’s contact person for this program. Her contact information is listed under the ”Clergy, Wardens and Volunteer staff” heading. 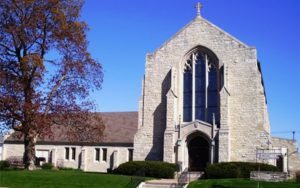 St. John’s was one of seven churches to open its doors to homeless from mid-January through February, 2011. We never had anyone sleep at the church, we did offer to pay for a room at a local motel. We also donate time and food to the local food pantry.